All in balck and white except the legs of the sofa. 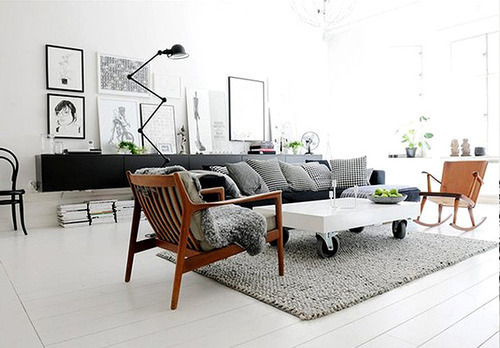 All balck and white “nuances” except for the wooden armchairs..
All painted white, also table and chairs. Are the pictures to paint the dining room. Lots of wood, even in frames..
Cornici e foto in bianco e nero, per riscaldare ambienti per lo più minimal e chiari, con sedie o pavimenti color legno. Il quadro può anche essere reinterpetato, poggiandolo sul pavimento se molto grande o su delle riviste, magari a fianco delle già viste cassette della frutta diventate libreria. 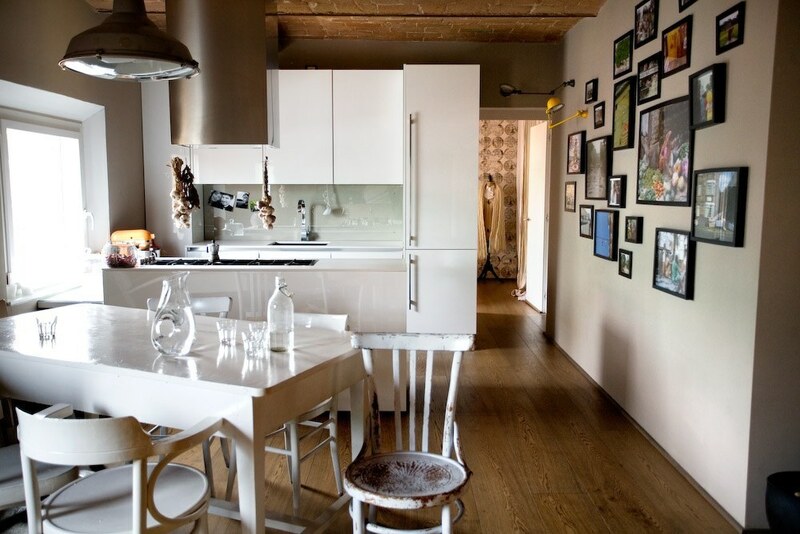 Frames and pictures in black and white, for warming mostly minimal or light rooms, with chairs and floors wood color. The framework can also be reinterpreted, resting it on the floor if it is very large or in magazines, perhaps alongside the already seen fruit-boxes become library.